“Refugee Action has been selected as our preferred provider to deliver a Refugee Integration and Independence Service for Worcestershire. 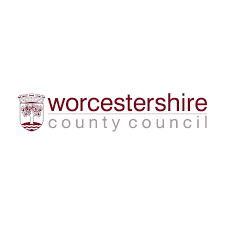 The service will support all adults, young people and children accepted by Worcestershire’s local authorities under the Syrian Vulnerable Person Resettlement (VPR) scheme. Subject to standstill* and agreement of final details the contract will commence at the beginning of June with the first cohort of refugees scheduled to arrive at the end of June. The first 3 families (comprising 8 refugees) will be resettled in Redditch. Two families are linked and will be resettled in the same property. We are liaising with the Home Office to arrange for a further 4 families to arrive in mid-July who will be resettled in 2 properties in Kidderminster and a further 2 properties in Redditch. Work is also underway to approach private sector landlords to identify properties in other districts to resettle further families later this year to meet our commitment to resettle 50 Syrian refugees in 2016. The resettlement scheme is funded from the Foreign Aid budget with further resources invested into the local NHS and Education by the Government. These additional resources will help to ensure that any impact on services for local residents will be minimised. Cllr Lucy Hodgson, Cabinet Member with Responsibility for Localism and Communities said: “We are all aware of the terrible suffering that is being caused by the war in Syria, and we are very proud that Worcestershire will house some of the most vulnerable people affected by this conflict. Cllr Bill Hartnett, Leader of Redditch Borough Council said: “As Leader of the Council, I am delighted that Redditch is resettling the very first Syrian refugee families arriving in Worcestershire. It’s a historic moment, and I’m proud that our borough can play such an important role in changing these families’ lives for the better.